The gigantic art collection of Fredric Brandt, celebrity cosmetic surgeon and skincare guru, is going up for auction at Phillips Auction House. The collection, valued around $15 million, boasts over 200 pieces. Though his cosmetic surgery clients included Madonna and business bigwigs, Brandt spent much of his free time purchasing and discussing art with friends. Brandt, who died in April of this year, was dedicated to his collection. A slideshow of the art in Brandt’s home shows many beautiful and unique pieces. A 2004 Richard Prince work made from canceled checks and acrylic canvas, titled “My Wife, My Wife,” speaks a sad message on a sadder medium: “I asked her what she wanted. She said “the waiter.” Art dots every wall of Brandt’s home, whose clean lines make the house look more like an actual art museum than a private residence. A large painting of shoes in high heels, splashing in something rust-colored, mark the way through a set of white French doors. The works of art around his house are colorful, bright, and captivating. 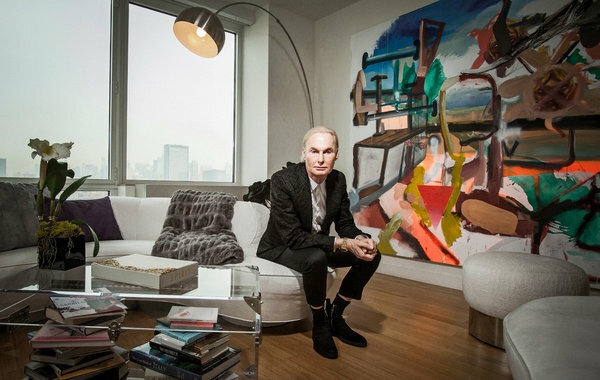 “I like my art to make me feel good,” Brandt said in an interview. “I don’t want a piece of art to make me feel depressed.” Dr. Brandt was a self-made businessman with a successful practice and a skincare line that was sold in close to 50 countries. Phillips Auction House beat out other competitors interested in Brandt’s collection via a third-party minimum-price guarantee.